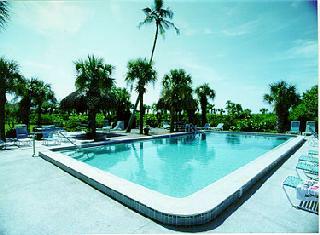 Our vacation rentals (3) are 1200 Sq. 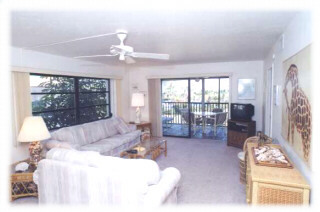 Ft. 2 Bedroom, 2 Bath condominiums, Sleeps 6. Screened lanai's overlooking the pool and Gulf of Mexico. The complex has 27 units in 5 buildings on a quiet secluded dead-end street, next to a wildlife preserve. 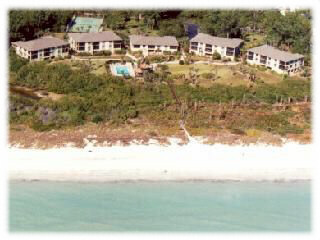 Two suites are beach front on the first floor with covered parking underneath. The third is beach front on the second floor. The tennis court is 100 feet from the unit with Shuffle Board Pad next to the tennis court. There are 4 adult bikes with helmets in the first floor storage locker for your use throughout the island. 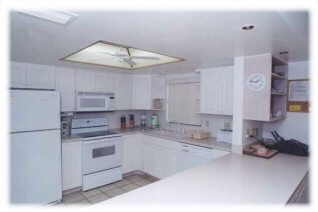 The kitchens and master bathrooms were remodeled with all-new cabinets and appliances.